French graphic designers Julien Sens and Nicolas Damiens have transformed the handwriting of musicians David Bowie, John Lennon, Kurt Cobain, Leonard Cohen and Serge Gainsbourg into free-to-use typefaces. We’ve launched the SongwritersFonts project, a series of typefaces created from famous songwriters’ handwritings, as a design project. The unique purpose of this was to inspire musicians and the next generation of songwriters to put their imagination at work. But, the unexpected success of this project went a bit too far… We have been contacted by intellectual property rights owners, and are sad to announce that we have to shut down this website because of legal issues. We’re sorry to have to say goodbye. 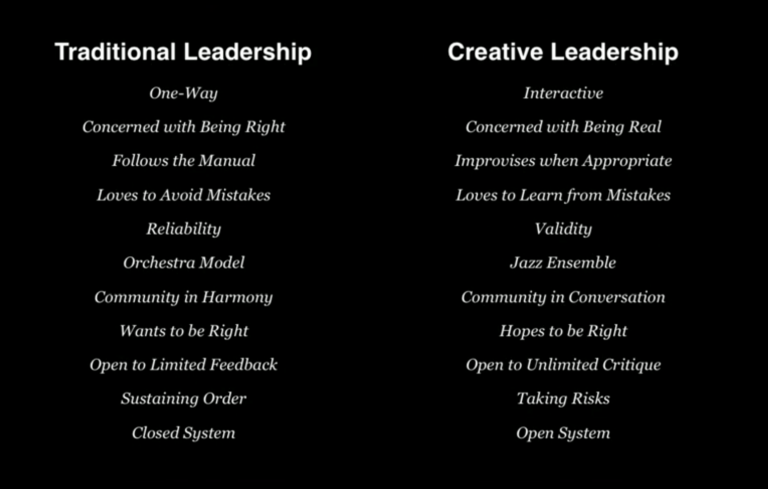 Above is grabbed from John Maeda TEDGlobal 2012 talk, titled How art, technology and design inform creative leaders. 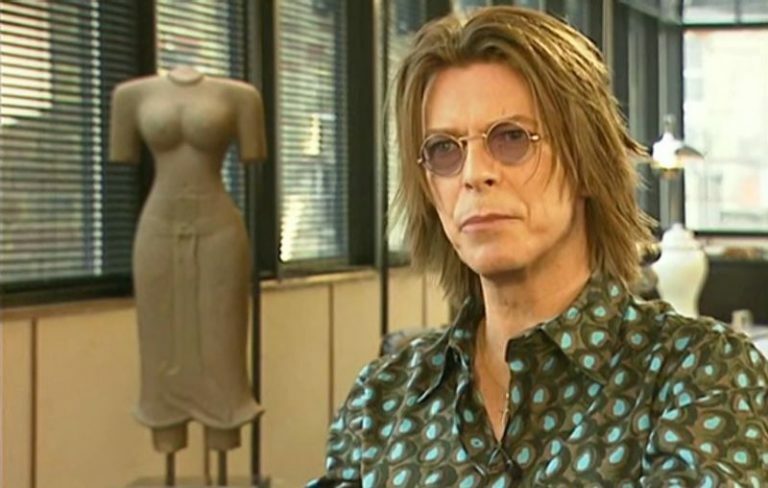 An amazing interview with David Bowie from 1999 where he (among other things) talks about the impact of the digital transformation. I honestly think that his thoughts and perspective are still very progressive today — 18 years later. There are these kinds of guys that wanted to go home 5 o’clock and their interest in what you were doing doesn’t exceed the normal demands of the day for them. And those guys never last. Because when you’re trying to push the boundaries on things and when you’re moving into different types of frontiers, you need to be surrounded by people who really believe in what you’re doing. Above quote is by Bruce Springsteen. It’s his way of rationalising why they spend three weeks to get the drum sound he wanted for the song Born To Run. 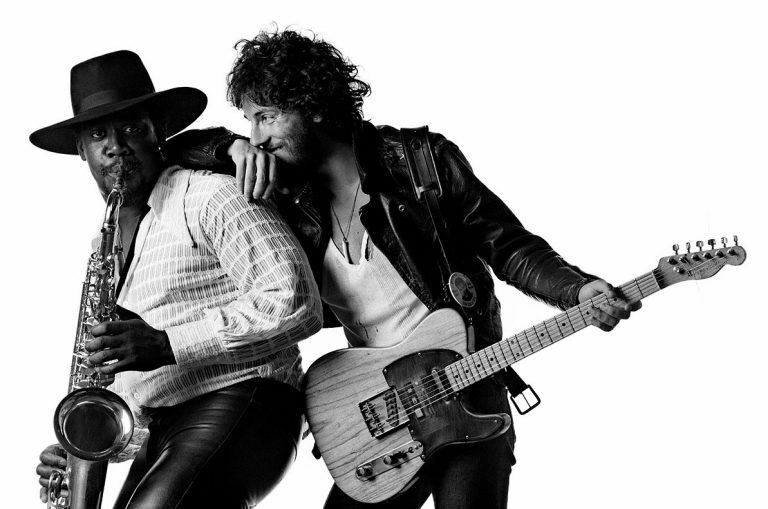 I’m sure a lot of people find spending three weeks working on a drum sound for just one song a tad excessive — and maybe even deems Bruce as self-indulgent or obsessive. I personally wish our work cultures cherished “slow work” higher and spend more time on nailing details than celebrating mediocre outcome that often comes with the illusion of speedy progress. Which, has nothing to do with working more hours/day, rather excepting that great things are difficult and requires time, resilience, patient and stamina. Below is an extract from an interview with David Fincher. I found it striking. In my profession — as a maker and shaper of digital experiences — I constantly need to balance and navigate ambiguity. Would have been all right if it was only my own relationship to it; but more often than not the challenge is to counter balance others discomfort that arise from it. Designing an experience — especially those without obvious physical rewards such as a motion picture, music or digital services — is in many ways the art of: projecting oneself into the future; imagining an emotional response; go through the process of shaping this fantasy into a transmittable form; in the act of doing so learn, adjust and revise; and finally let it go for others to experience. As a friend of mine once said, “It’s a long and arduous journey of contradiction and vagueness”. 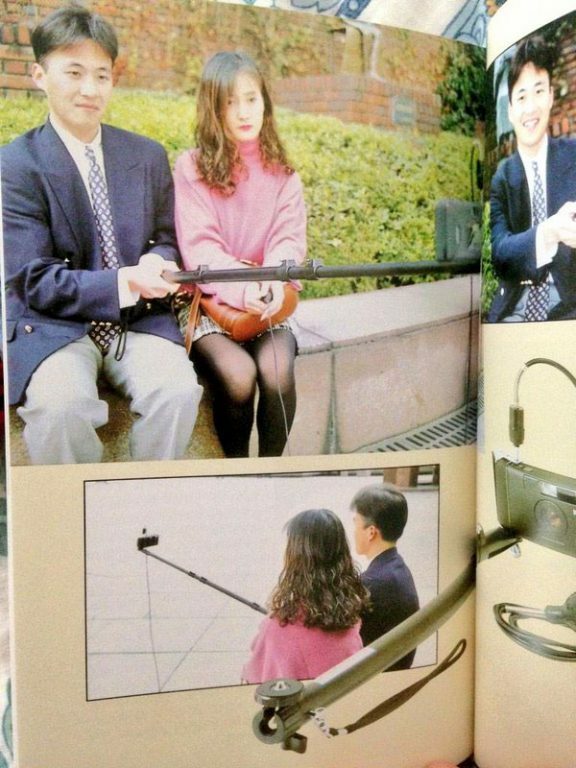 You can have all the best intentions but there are things you can’t plan for or make technology do. 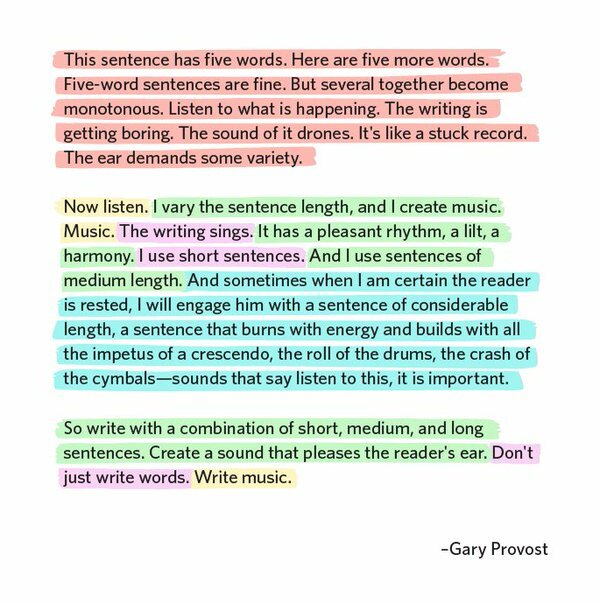 You should really embrace this and design the experience in a way that people can fill in the blanks and make it their own. There is a fallacy in how one design a motion picture experience. 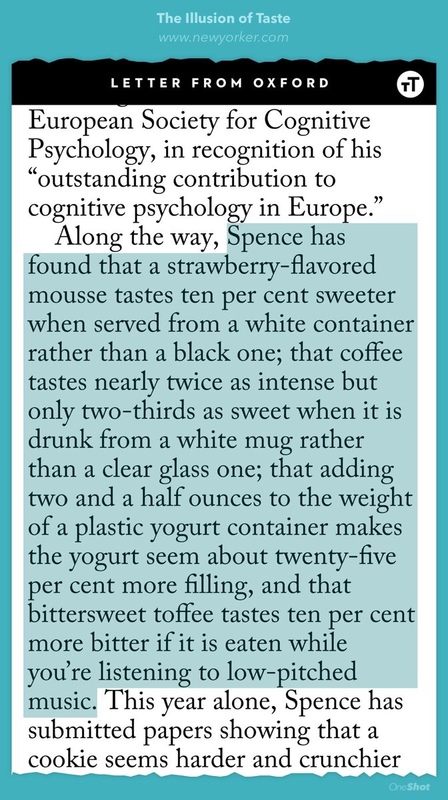 I think the fallacy is that it’s a wind-tunnel tested, extremely technical, scientific experiment. That really isn’t the case. There is a lot of technical knowledge and a lot of technical expertise that goes into making a film, but remember the ultimate takeaway of a film is emotional. You just saw a dream and either it affected you or didn’t. 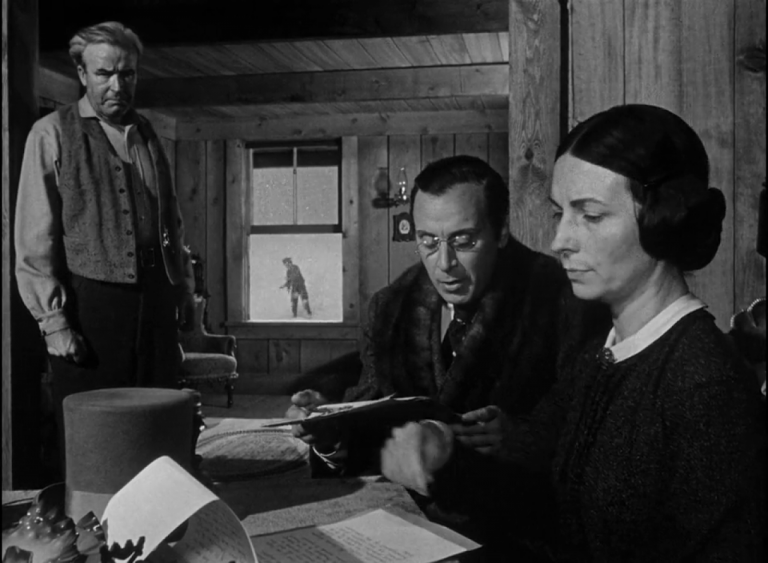 Louis B. Mayer once said: “the beauty of the movie business is that the only think that the buyer gets for their cost of emission is a memory.” A memory is evocative, because they work on an emotional plane. You can have all the best intentions. You can work backwards from an impeccable blue print to hopefully bring in an audience into this place where they go, “oh! 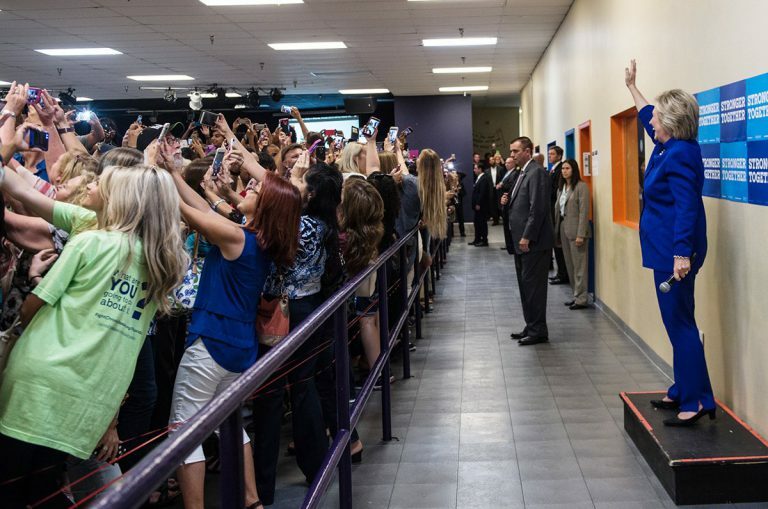 I never imagine that was going to happen”, or, “oh my god that’s so funny” , or, “that’s the saddest thing I’ve ever seen”. You are working towards that; but they are going to have to meet you half way. That’s the thing you can never plan on. So when you’re interfacing with a sound designer like Ren Klyce, an editor like Kirk Baxter or cinematographer like Jeff Cronenweth, you are not talking about people who are measuring things in terms of decibel, foot-candles or feet and frames — you are talking about people who are projecting themselves into an experience and imagining an emotional response. If that’s the intention, then the idea of saying, “OK, by 18 feet and 6 frames we need to have X” doesn’t make sense. It doesn’t make any sense to talk to Trent Reznor that way. You kind of have to say to him, “I hoping that this is where the other shoe drops”, “I’m hoping that this is where people begin to go; ohhhh he’s not such a good guy, he might actually be a murderer”. We are talking about taking people to a place where they get emotionally hit by the same technical presentation, and they feel the same thing in unison. I’m a big fan of the Seattle music scene. It began in the 90′ with Nirvana, Pearl Jam and Soundgarden; who inspired me to learn how to play guitar and find a new depth to music. Living in Seattle and finding out that Chris Cornell passed away connected me with both gratefulness and sadness. Thank you Chris for being a pivot. 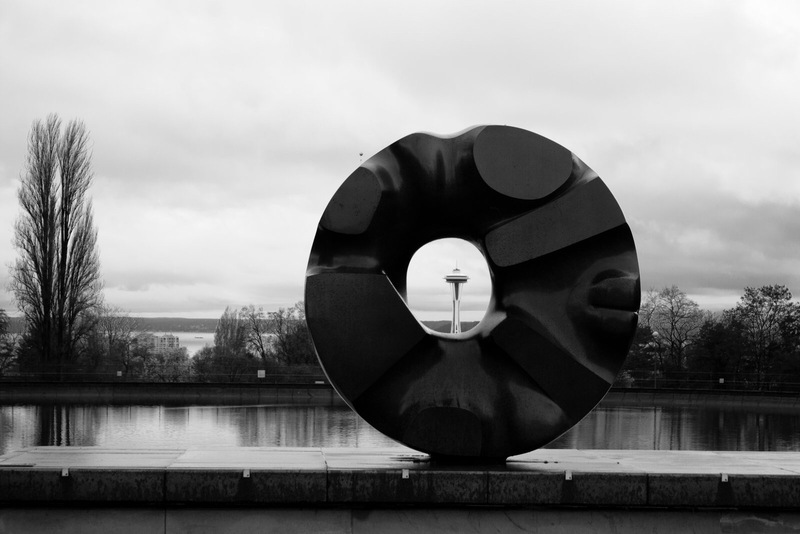 Above photo is of the Black Sun sculpture in Volunteer Park, Seattle, said to be the inspiration of the Soundgarden song Black Hole Sun. 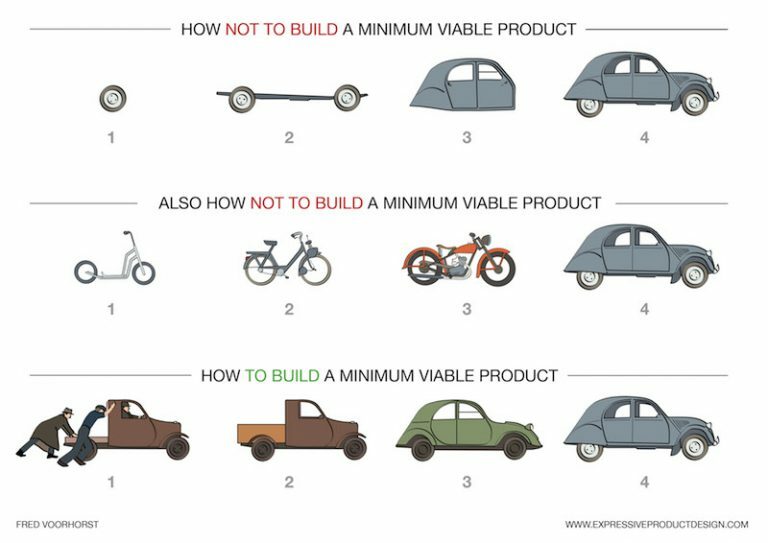 I personally believe what we (as in makers of digital systems and services) have a lot to learn from complex systems, chaos theory and dynamical systems (e.g solving problems for large living dynamic organisms); rather than traditional design practices and factory mentality (constructing objects). “The question is: when we are working on any particular problem, we eventually will adopt a particular formalism for describing a particular set of equations; which will be diffraction equations, statistics, networks or something. How do we avoid that? If you’ve read Thinking, Fast and Slow by Daniel Kahneman or Stumbling on Happiness by Daniel Gilbert (and if you haven’t you should; great books), then you’ve been given countless of examples on how our brain function and that a repeating theme is that our brain is really eager to fill in the blanks. This tendency can work for us and it can work against us. What I’ve also found is, by being presence and tuned into this phenomenon, it can also entertain. Mesmerise oneself over how… well stupid and irrational we truly are. A simple way to test this is to watch the movie Arrival, featuring Amy Adams, Jeremy Renner and Forest Whitaker. With our learned understanding of conventional story structure we create the assumption that the death of the main characters daughter came before the arrival and that the recollections of her daughter’s birth, growth and death are from the past and not from the future. The director Denis Villeneuve basically tricks us (by, among other things, showing warm tone memories leading us to assume they’ve flashbacks) and have us fill in the blanks. What you don’t understand you can make mean anything. Nothing remotely ethereal or spiritual ever finds its way into his work. There’s a reason, though: Nolan is a die-hard materialist. Underlying nearly every film he’s ever made, no matter how fanciful, is his conviction that the universe can be explained entirely by physical processes. Any suggestion that our lives are shaped by forces we can’t understand makes him break out in hives. […] Batman is likely the only superhero of any interest for him, precisely because Batman has no superpowers. 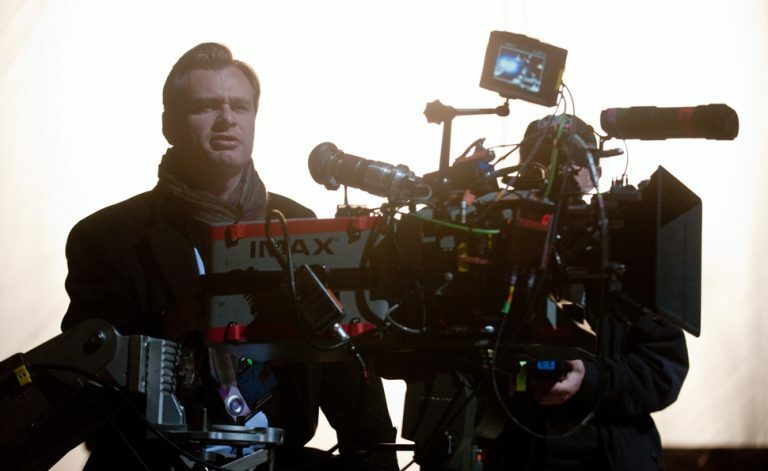 I’ve personally enjoyed most of the Nolan movies I’ve seen, such as: Interstellar, Inception, The Dark Knight Rises, The Dark Knight, Batman Begins, The Prestige, Memento. Great movies. And I even though the similarities between Interstellar and Inception    might imply a repetition of formula and lack innovation, I thought it’s genius. Yes. I like Nolan. 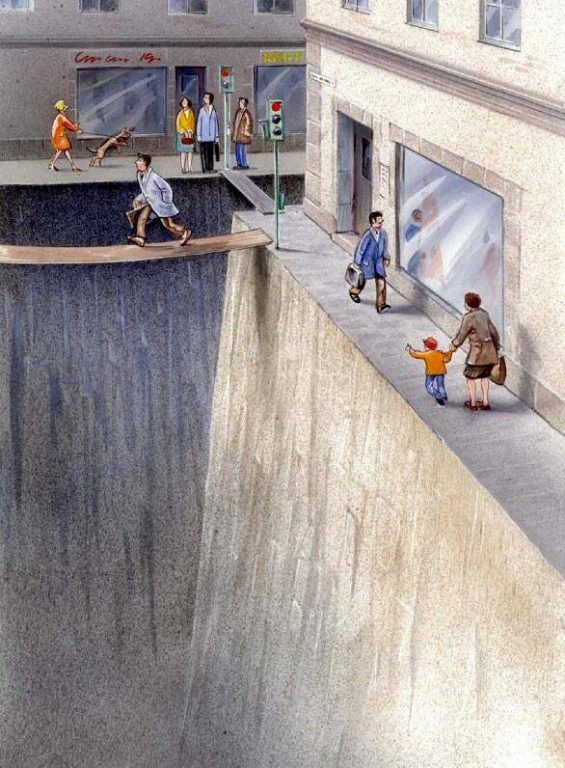 Cities feel a lot less welcoming when you highlight the places pedestrians aren’t supposed to go like this. 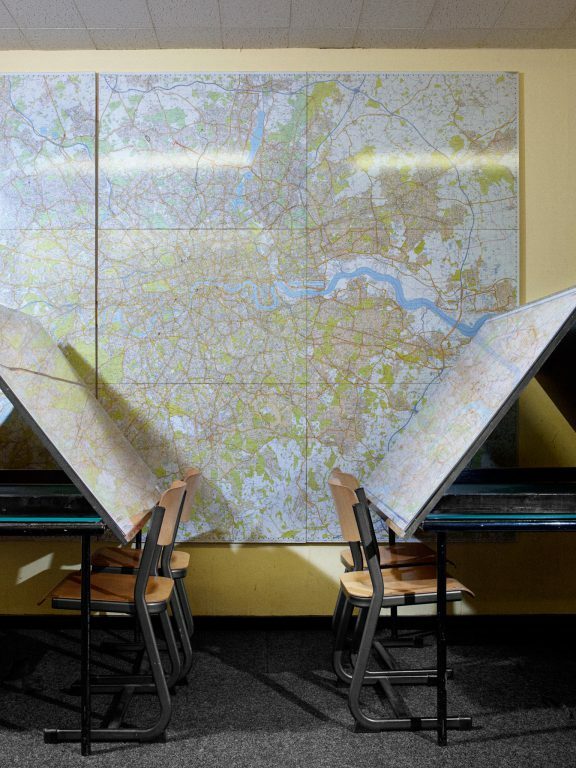 The examination to become a London cabby is possibly the most difficult test in the world — demanding years of study to memorize the labyrinthine city’s 25,000 streets and any business or landmark on them. As GPS and Uber imperil this tradition, is there an argument for learning as an end in itself? I would like for them to say, he took a few cups of love. He took one tablespoon of patience, one tablespoon of generosity, one pint of kindness; he took one quart of laughter, one piece of concern, and then he mixed willingness with happiness. He added lots of faith, and he stirred it up well. Then he spread it and expanded it over a lifetime. And he served each and every deserving person he met. I would like to be remembered as a man who was humorous and who treated everyone right. As a man who never looked down on those who looked above him, and who helped as many people as he could. As a man who stood up for his beliefs no matter what. As a man who tried to unite all humankind through faith and love. 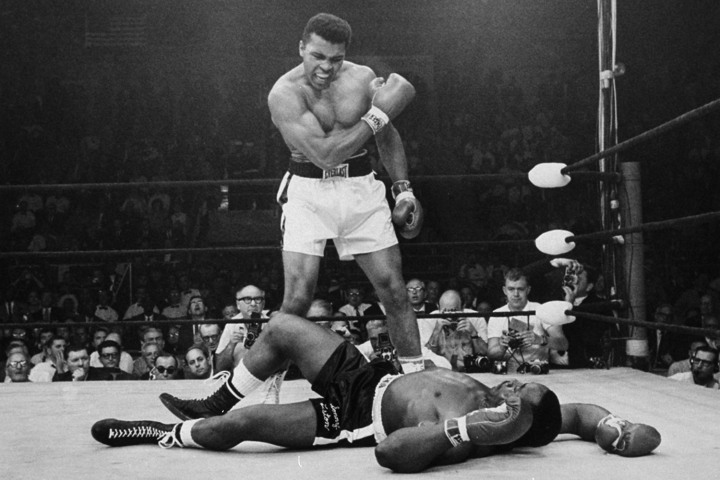 If all that’s too much, then I guess I’d settle for being remembered only as a great boxer who became a leader and a champion of his people. I wouldn’t mind if folks forgot how pretty I was. The schools in this country are one of the biggest reasons we’re all so screwed up. Our educational experience consists of three great lies. 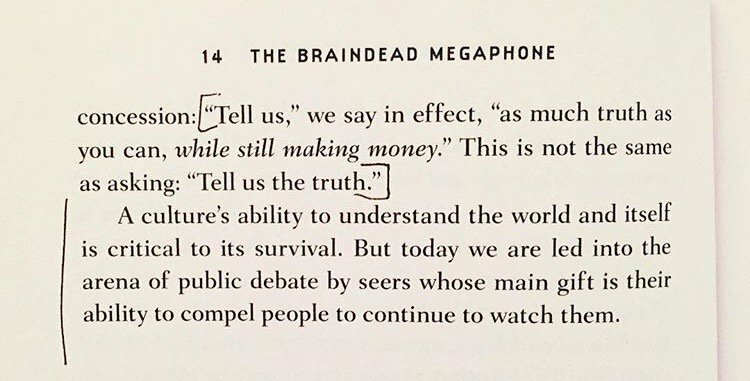 Lie number one is, It’s better to say, ‘I know’ than to say, ‘I don’t know.’ Lie number two: It’s better to answer a question than ask a question. Lie three: It’s better to worship at the foot of success than understand the nature of failure. Those three lies have screwed our society, and it’s by overcoming one at a time–or two at a time or all three –that you can make some breakthroughs in your creative activities. Richard Saul Wurman is an American architect and graphic designer. Wurman has written and designed at least 83 books, and created the TED conference, as well as the EG conference, TEDMED and the WWW suite of gatherings. I’ve met many interface designers who assume that you should use icons in an interface. I ask, “Is this the best interface that can be designed, or is it spawned out of habit and convention?” Most designers just stumble along in the present paradigm, ignoring the decay underfoot. Above is pulled from this article ubiquity.acm.org/article.cfm... titled A Conversation With Jef Raskin. 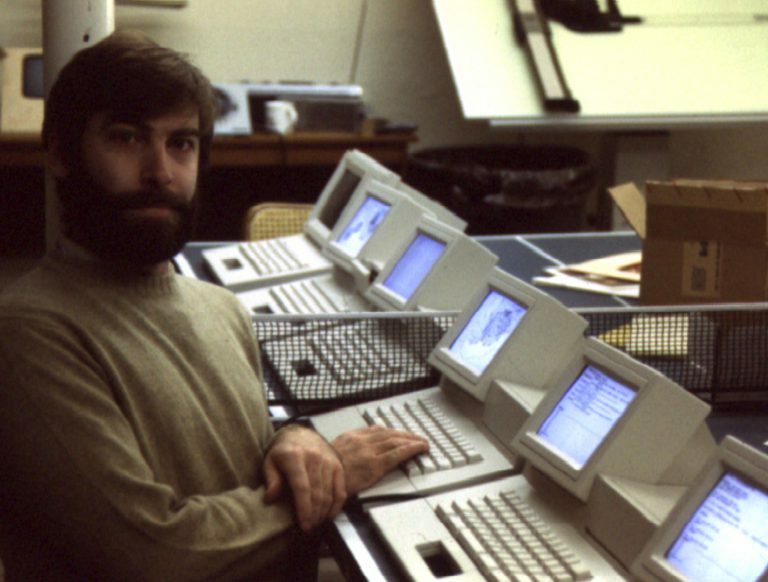 Jef Raskin (March 9, 1943 – February 26, 2005) was an American human–computer interface expert best known for conceiving and starting the Macintosh project for Apple in the late 1970s. Don’t ever compare your living, breathing beautifully imperfect, real-life human self to someone else’s controlled online content. Sometimes as a designer you find yourself talking about snackbars and toasts in Lollipop and Marshmallow and you wonder where you went wrong. I haven’t tried the real-time collaborating tool Figma yet, so I can’t pass praise. However; it looks fabulous and they are tackling an area close to heart — collaboration. It’s 2016 and it amazes me how we (makers of digital services and experiences) are still stuck using methods and processes that circle around creating visual static artefacts — statically filming a theatre stage instead of making a cinema film. Playing on the same instrument at the same time might indeed be a good way to move towards a multiplayer setup, but along with that I reckon we should explore how we can inspire everyone to become a maker. Inject oxygen in basic moments of collaboration prior to implementation. Empower the multidisciplinary team with tools of communication that has a low entry point and are more powerful, sophisticated and forgiving than a bullet of requirements, whiteboards, post-its and deck of slides. IKEA makes it possible to affordably furnish an entire apt in one day. Some ‘bad’ experiences, eg. picking boxes, are key enablers. Large co-operative structures are a haven for people with thought addiction. A friend of mine was attending a leadership course. Above images is a slide from one of the presentations. 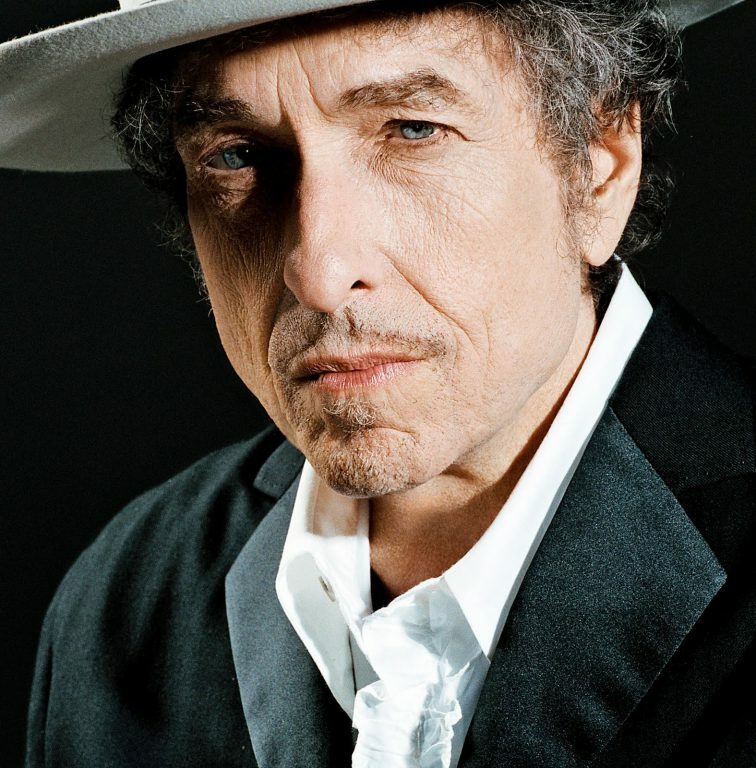 Bob Dylan has been awarded the Nobel prize in literature, the first songwriter to have ever done so. Some people believes this as a mistake and some think it’s great. I’m very divided. I love that the novel committee opens up for other kinds of literature – lyrics and so on. 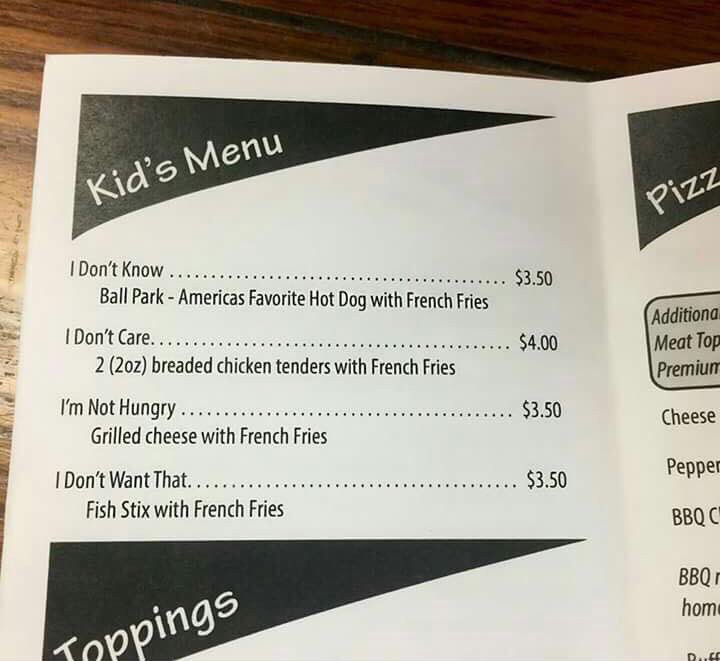 I think that’s brilliant. But knowing that Dylan is the same generation as Pynchon, Philip Roth, Cormac McCarthy, makes it very difficult for me to accept it. I think one of those three should have had it, really. But if they get it next year, it will be fine. To me is like pinning a medal on Mount Everest for being the highest mountain. My personal opinion on this matter is: a) I think it’s unfair to deem songwriting as “less worthy” due to the fact that it’s primarily delivered in a shorter format, with music and melody, and, b) I like that the Nobel Committee for Literature isn’t a stale entity and that it allow itself to evolve. Abstract expressionism is a post–World War II art movement in American painting, developed in New York in the 1940s. I’m a big fan. Along with Cubism; my favourite movement. Jackson Pollock is probably the most well known. 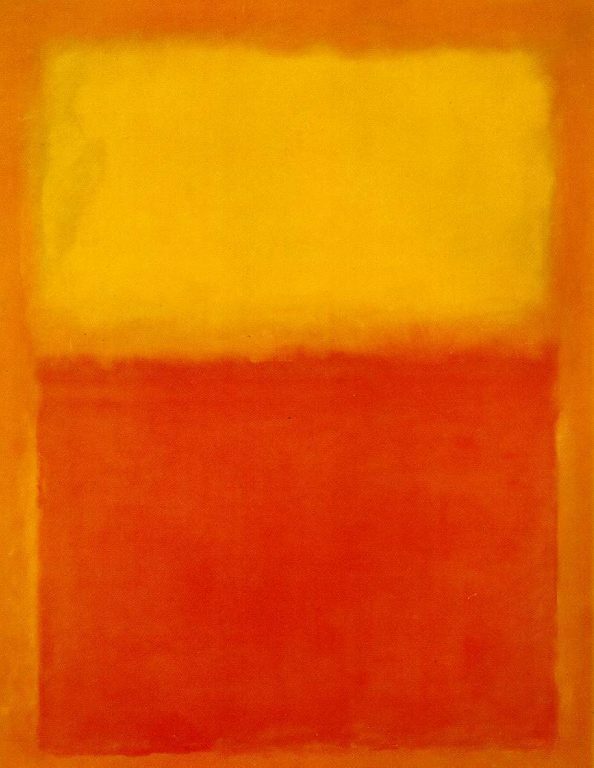 My favourite is Mark Rothko (above). Absolutely love his work. If you ever get the chance to see it in person, do. It’s in person his work should be experienced. Given my appreciation for Abstract Expressionism, I was really pleased to find out about the current exhibition (titled Abstract Expressionism) organised by the Royal Academy of Arts, London with the collaboration of the Guggenheim Museum Bilbao. Exploring an unparalleled period in American art, this long-awaited exhibition reveals the full breadth of a movement that will forever be associated with the boundless creative energy of 1950s New York. Besides Pollock and Rothko, I’m now also a fan of Arshile Gorky, Glyfford Still, William de Kooning and Ad Reinhardt. 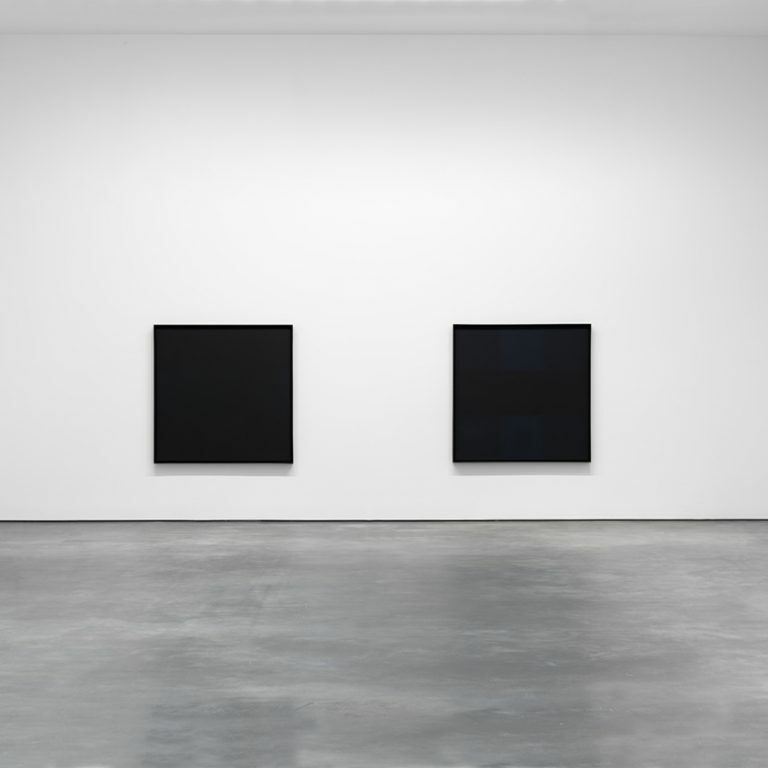 The Black Paintings by Reinhardt (below) definitely struck a chord and caused both reflection and change of pace. I had already seen Ragnars Kjartansson’s exhibition at the Barbican once, but I went again to investigate both what and why I got so emotionally touched by it the first time. I also wanted to experience The Visitors — a 1h immersive and moving multichannel video installation — from start to finish. As I read the exhibition text on the wall on my second visit; it struck me. I had a notion that our connection could be related to the fact that we both were born in the late 70s and raised in the 80s on the longitude of 64°. He Reykjavik (Iceland), me Skellefteå (Sweden). But I wasn’t satisfied with such a rational explanation as geography for my strong emotional experience. See, I don’t really related boredom to pain. Boredom, I cherish. It’s something I enjoy. I actually schedule time in my calendar to be bored. I mean — I went a second time to experience a 60 minute video art peice; most people would find that boring; I find it energising. Most of Ragnar’s work tap into repetition, which many people associate with boredom. – The Visitors (2012), a 1h long immersive and moving multi-channel video installation. 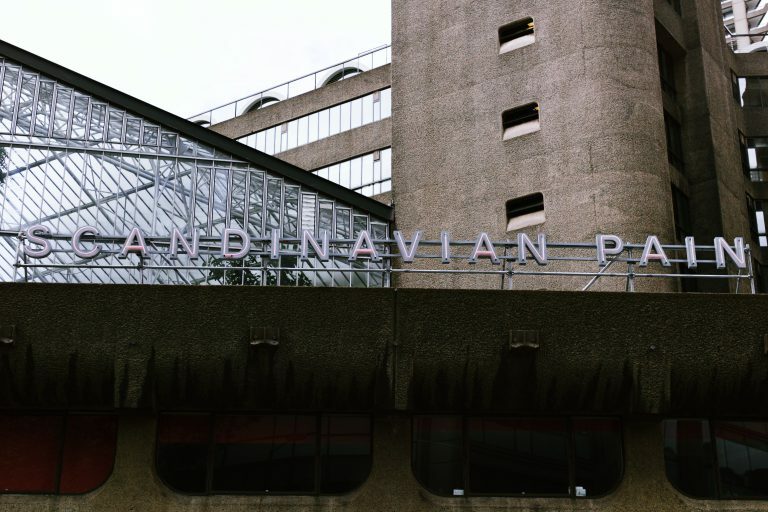 – Second Movement (2016), featuring two women in quintessential Edwardian costume rowing a boat and embracing in a never-ending kiss (took place on the Barbican Lakeside every Saturday and Sunday, between 1–4pm, weather permitted). 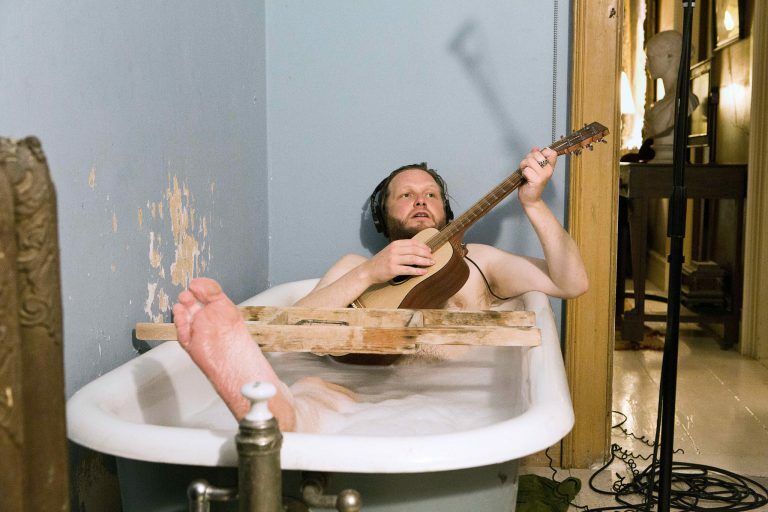 – Take Me Here by the Dishwasher: Memorial for a Marriage (2011), a live performance featuring ten troubadours singing for up to eight hours a day, every day for the duration of the exhibition. – A Lot of Sorrow (2011), the band The National spending six hours repeatedly performing the same song Sorrow (www.alotofsorrow.com). to give a few example. I think my natural calmness and aptitude to autodidactism (self-learning), as well as my discomfort to immerse in external stimuli (such as social media or TV) is partly due to my romantic relationship to boredom. My guess is that both Ragnar and I were trained in borerdom when we were young. We were taught the gentle art to appreciate boredom. Small cities, far north, pre-internet. I’m very grateful that he (unlike myself) has not only developed a skill to share the beauty of boredom to a larger audience, but also dedicated his life to do so. Whenever I make a new friend I force them to do the wordless chant at the end of “Dreams” by The Cranberries and then just go from there. Too much of the design toolset is focused on creating isolated artifacts instead of supporting connected workflows. Design work needs to be better connected, and designers need more support for the half of their job that isn’t drawing shapes, choosing typefaces, or prototyping interactions. The majority of a design job is orchestrating the team, ensuring visual consistency, updating stakeholders, documenting decisions, interpreting feedback, and delivering the work for implementation. When you look at it this way, it becomes clear. We don’t need more visual tools. We need help managing our work and how design relates to the rest of the organisation. We think there’s a huge opportunity in creating a new kind of design tool, one that designs the other half of design. 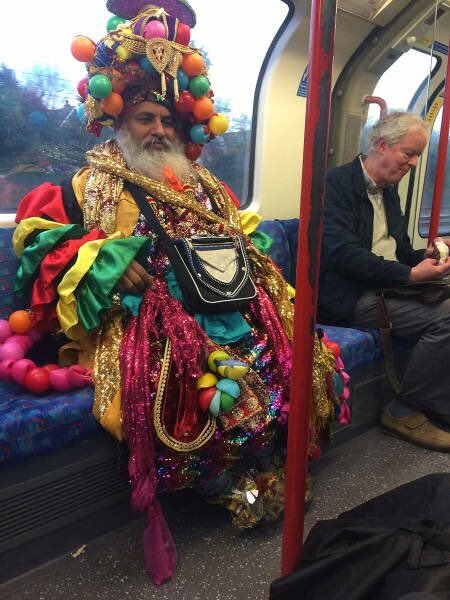 If video games have taught me anything it’s that this guy is selling rare items that I’ll need later in my quest. youtu.be/CvLQJReDhic is a superb video where Lewis Bond talks us through the gentle art of composition. What amazed me is the parallels it made me draw to my own profession as a maker and shaper of digital experiences and services. I can even see the narrative work for business strategy — challenge fix mindset with growth. For decades we have relied on the values and principles deriving from graphic design and brochures; or advertising and PR; and almost denying the true unique qualities that the digital medium provides us with, such as: dynamic content, interaction, continuous revising (to mention a few). 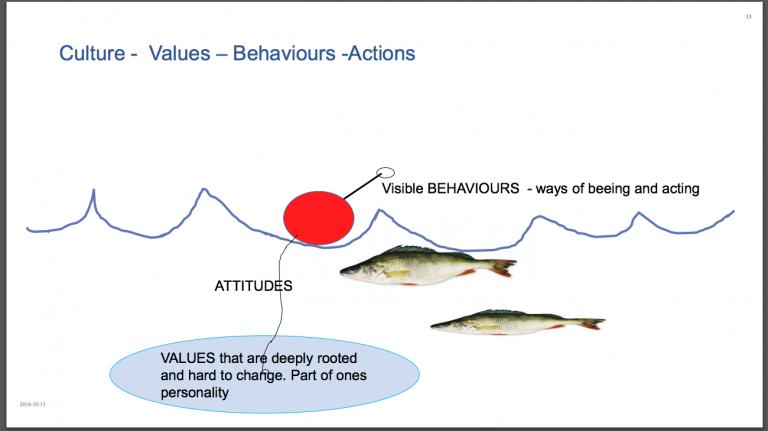 In similar ways of how many organisational models and practices are still built and operating on a factory mentality. Outtake from the video below. To compose an image, is to create an everlasting metaphor. Cinema in it’s purest form is visual story telling, and the best cinema can tell a story through something as simple as the arrangement of an image: staging, framing, depth, balance; how do you present space? Out of all the discipline that coincide under the umbrella of cinematography, I won’t have much hesitation in saying that composition is the fields most fundamental principle. Why do I think this? Because deciding the placement of subjects through the view-finder of a camera isn’t merely a technical decision; it’s an expressive one. In a nutshell, composition is simply how the element inside the frame is position and exhibited to the viewer, it’s the skill of knowing what to show and what not to show, as well as how to show it or how not to show it. By intentionally directing the structure within a frame, you enhance the meaning of whatever is you want to say with whatever canvas you want to work with. Most of the application of the composition revolves mainly around visual necessity—those checkboxes that needs to be ticket when arranging the visual elements of an image; is there enough lighting, does the staging block any important visual information. Case in point as to why composition is a necessary technical skill when constructing any image. Without it films would be a sensory of overload of information without stucture, but with it you gain focus. However as an art, it shouldn’t be approached exclusively with pragmatism, because it’s just not where we place our subjects of interest; but why. What can we say with composition. They [excessful visual templates such as ‘rule of third’ and ‘golden ratio’] are tried and tested formulas that makes an image pleasent to the eye, yet when the rules that define an area of study is practically ingrained in our minds; it can be very difficult to demonstrate versatility. Be that as it may, composition verity isn’t the focus here; but what do these compositions say and what can you say when you go against this formula. In the grand scheme of things: cinema is still a relatively new artform, and cinema took influence during it’s infancy from the existing medium in order to undertand it’s role in the artistic landscape. Many early directors and filmmakers either directly hailed from theatre, or in the very least influence by the form. Yet the impact this had on composition could’t be ignored. Because how different film was, composition didn’t even occur to many filmmakers, instead; technic were imported directly from theatre. Once filmmakers realised that cameras didn’t need to be be locked down in one spot and once the technology that was propelling the artform improved; the imagination of filmmakers started to flourish. Where composition were once a last minute invitation of the convention setup of other mediums, now it was being championed by artist such as Fritz Lang and the german expressionist who became pioners of using composition for tonal leverage. Every single shot in cinema uses composition, but those images that haunts us, astound us; they awoke such emotions, just not because they are beautiful, but because they carry meaning. Composition can still be used to effect us on a psychological level; and thats how you should think when composing an image: what emotion can i display. Create a sufficient structure to your image; make sure it’s visually pleasing; find your focal element and use interesting visuals to highlight them; and everything you do from their should be an artistic venture to convey your message. Every subtle change you make in positioning of your framing creates a new emotion — it creates a new piece of art — and all of this is achieve through composition is a skill that can images last for ever. The objective is the simple thing of getting the best to the greatest number of people for the least. That’s right, your Uber request will be running straight to your doorstep on Saturday, along with some Nike gear to make sure you can suit up for your next run. 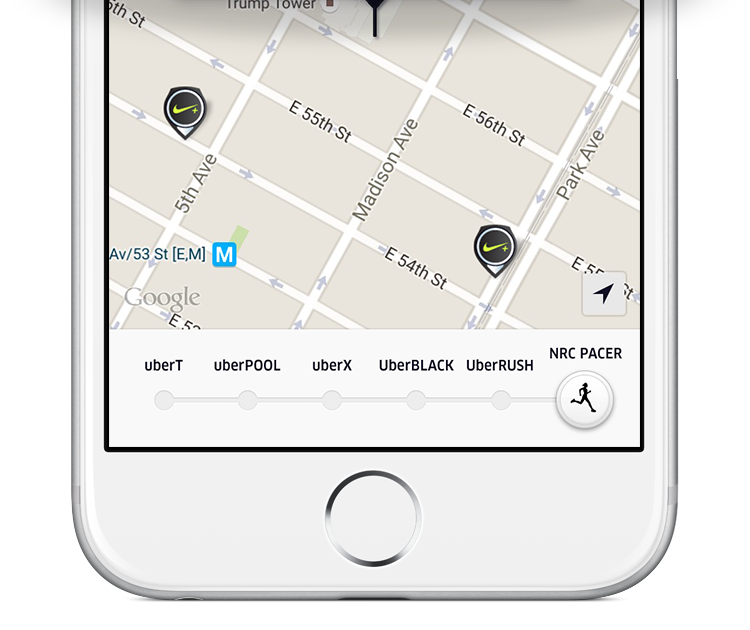 Enter code RUNNYC for your on-demand personal running session on Saturday, October, 31. Whether you have 2 or 26.2 miles in your sights, as long as you have a goal, we’ll bring you a guide. After all, everyone’s a runner. So don’t second guess yourself—just do it. And if your legs are tired afterwards, well, then you can just Uber it. Lot’s of lovely winners and finalists. Above photograph is captured by Sagi Kortler; winner in the Single Image category. “Anyone can pop up and say they’re a mindfulness teacher, so there is a lot of anxiety within the mindfulness community,” said Madeleine Bunting, an adviser to the all-party parliamentary group on mindfulness and a former Guardian journalist. gu.com/p/4dyjn/stw is an interesting article, but the paradox of the quote above made me laugh. 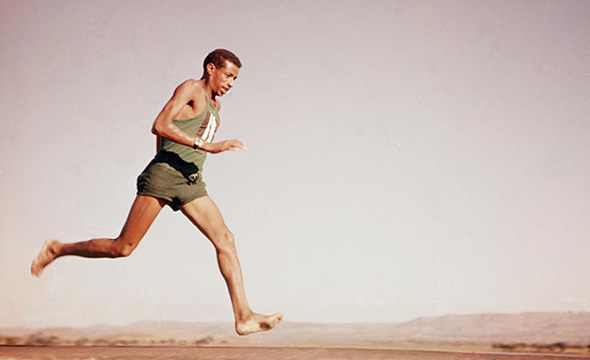 In 1960, during the Rome Olympics, marathon runner Abebe Bikila broke the world and olympic record. He ran barefoot on 2:15:16. I wanted the whole world to know that my country, Ethiopia, has always won with determination and heroism. 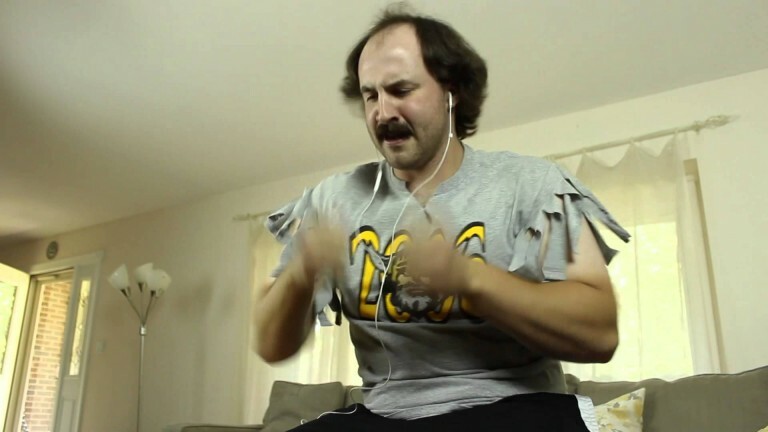 I just stumble over this video https://youtu.be/EqJf-JoJUtk. It was actually retweeted by Foo Fighter. The clip awaked some really really lovely memories. Memories of me, being in my teens, sitting alone in my room for hours and playing guitar alongside my heroes: Nirvana, Metallica, Guns & Roses, Rage Against the Machine, Perl Jam, Faith no More, Megadeth etc and so on — all those absolutely amazing guitar driven albums released during the first half of 90′ that I learned by heart. In reality they were “with me” on the stereo, but in my mind I was always the extra band member alongside of them on stages around the world. 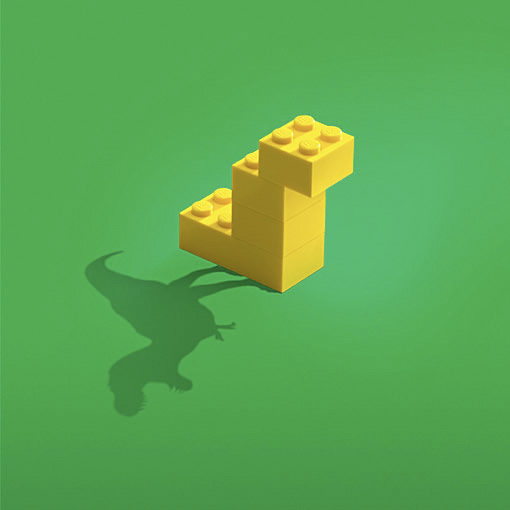 Imagination is a beautiful thing. In 2012 I set out (and succeeded) to run 2012km in a year. Due to this endeavour I have a personal emotion connection to the feat to complete 2000km in a year. I did it again last year. Two days ago — 210 days into the current year — I ran my 165 run of the year and once again past the 2000km mark. Perceptions is a moving target. When did “font” and “typeface” start becoming synonymous? Who is to blame? 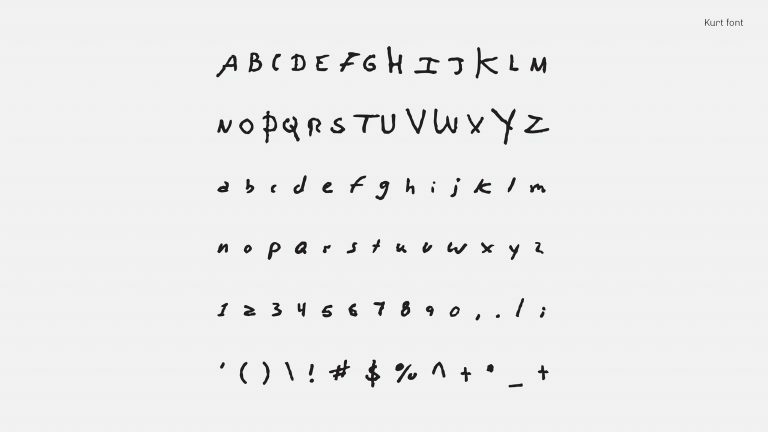 “Font,” just as it always had, would refer to the physical tool used to reproduce a typeface, which in the new, digital environment, was a digital file consisting of a set of scalable, vector-drawn glyphs encoded so as to correspond with particular user input in the form of keystrokes. The definition of typeface was (and is) unchanged: it is the design itself, in abstract, which can still be reproduced in any number of ways. 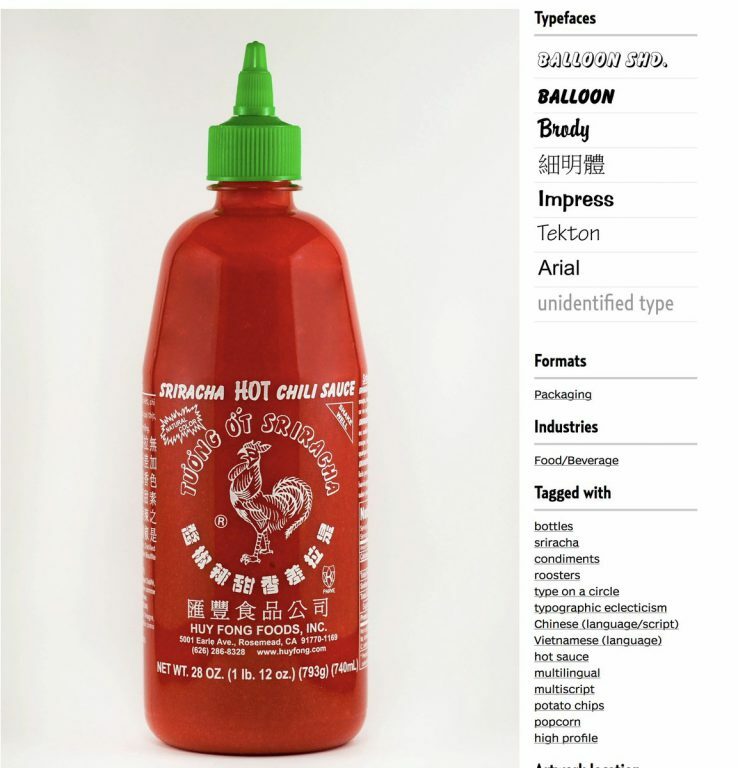 The font is the tool used to reproduce the typeface, and while the particulars of the terminology are a bit different with digital and analog methods, the essential distinction between the two terms remains the same. When you pick a font from MS Word’s pulldown menu, you are selecting the file your computer will use to interpret and display your keystrokes. You are selecting the tool. 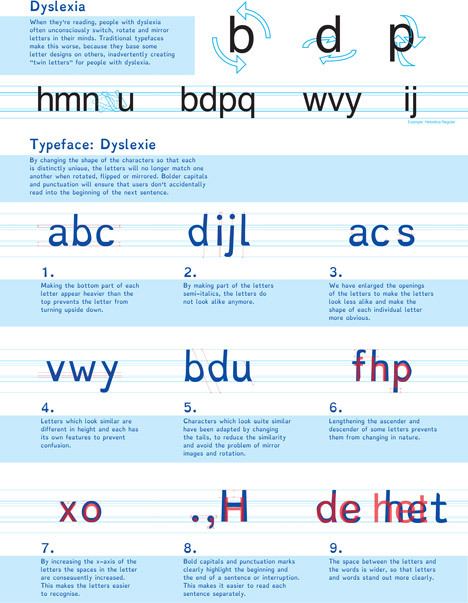 The typeface exists outside of your computer as an intangible concept. There needs to be a place where music can be treated less like digital bits and more like the art it is. 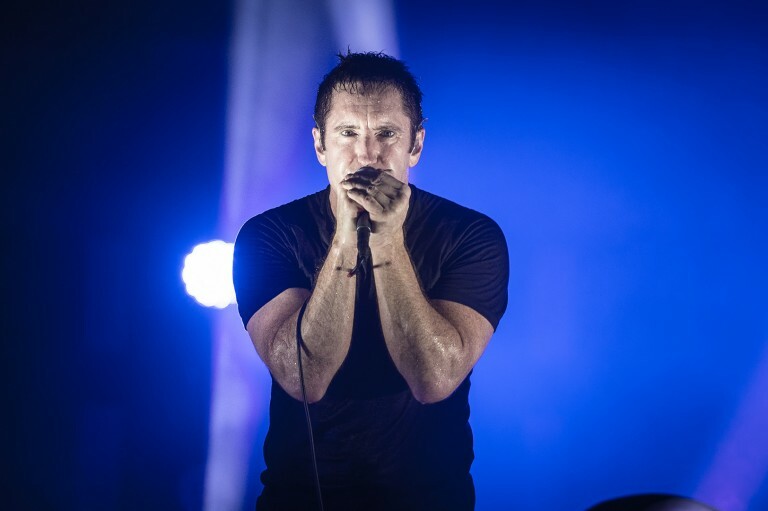 If I had to choose one ambassador; one person who would lead the way to realign our collective notion of what music can be, and doing so by putting more emphasis on the art form — it would be Trent Reznor. Learning that Trent is a central part in shaping Apple Music gives me hope. I’m really excited to see if he gets the support, and has the stamina, to build a platform where everyone can experience his vision of the distribution between — and roles of — artist, business and fans.